1. Go to Mask Symbol field and put the symbol denoting mask. Default symbol is "?". 2. Go to Mask section and set the mask. 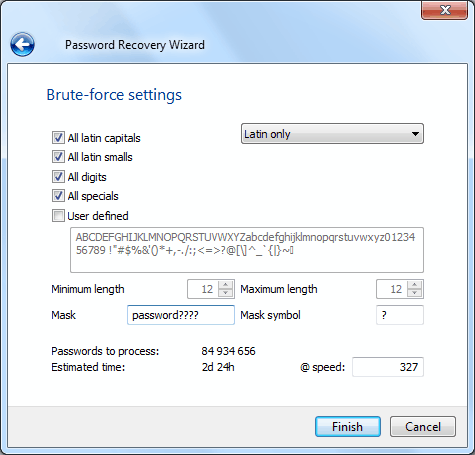 Use the earlier preset symbols when indicating unknown positions in a password. E.g. set the mask "password?????" for the kind of passwords "password" plus "four unknown symbols". 3. Check the rest fields and start a search – click "Finish".